Whatever line of business you’re in though, you need to take a more modern approach to marketing because there are so many different marketing channels in existence these days. It used to be that back in the day the most coveted form of marketing would be something like coming up with a television commercial to be aired during a prime time viewing slot, but things have long since changed. These days it’s all about the digital marketing space, which is both a blessing and curse when you consider the dynamics around how to get it done properly. Digital platforms which exist in many different forms, including social media, offer a more direct way for vendors of products and services to connect with their target market and come at them with their offers in addition to getting feedback or fielding complaints and other queries. You have to find a way to do it correctly though, because it can go horribly wrong, but otherwise this opens up the channels for some content marketing to be facilitated, which by design can save you a good buck on your marketing budget. This is because you can create the content yourself, albeit it should be presented professionally, so you might need to deploy the services of professional copywriters, graphics designers, etc. If you’re a digital marketer, you probably know all about content marketing—the mainstay of strategic online business. In content marketing, brands do more than advertise products and services. Instead, businesses provide potential customers with relevant and useful content, often for free. Successful content provides engaging and valuable material that attracts and retains customers and ultimately prompts them to take action. In this article, we’ll look at content marketing examples. Use these examples to create actionable new ideas for your future content marketing strategy. While it might seem simple to create good content and share it, there’s a lot more to devising a content marketing strategy that drives revenue than just disseminating information. First, start with a solid plan. 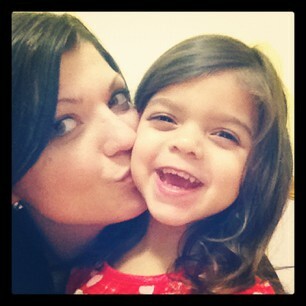 This plan should have a strong basic framework including good marketing tactics and good content. This is probably familiar to you if you’ve devised a marketing plan before, with one small—but crucial—difference. The difference being: There are virtually endless content marketing techniques to utilize. When creating your plan, you’ll need to understand the value each technique can provide to your audience before committing to it. 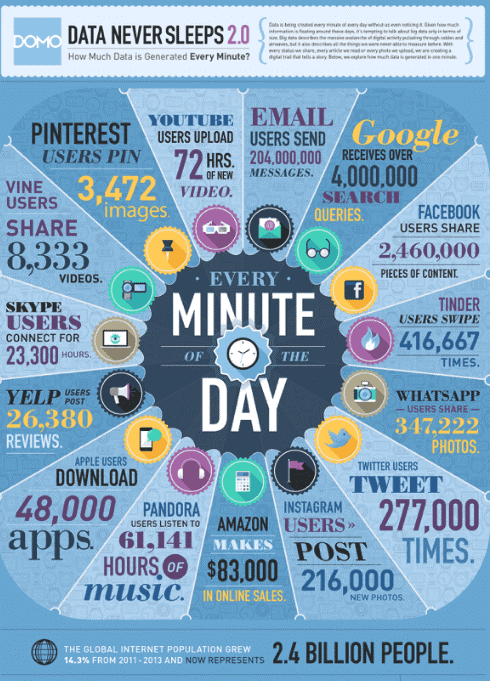 The graphic below shows the many types of content marketing and how often they’re being used. As technology evolves, there will no doubt be additions and changes to this list. Starting with the options we have today, let’s look at some of the most impactful components to include in your content strategy this year to boost engagement—and revenue. The blog post is still the quintessential piece of content marketing, because regular posts increase SEO exposure and keep avid readers coming back for more. What’s more, blogging lets you add another content marketing vehicle, like a white paper or ebook. These pieces help your marketing efforts go even further, especially if you use them as gated content. While other content vehicles like video claim to be the future of content marketing, blogging is still an important way to rank higher on Google, complement your overarching marketing strategy, and develop trust with your audience. 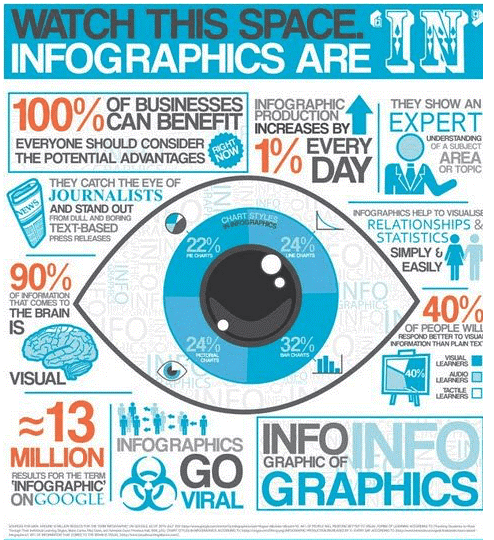 Simply put, infographics are a mix of analysis and design that are visually compelling. They can communicate complex data in an engaging format that enhances their shareability—and has the potential to increase the chances your content will go viral. Since blog posts with visuals get 94% more engagement than those without, adding infographics to your content mix is a no-brainer. Plus, infographics play to the online audience’s increasing need for visual stimulation and their tendency to want to share salient facts, tips, and tricks on social media. In fact, infographics are fast becoming content’s quadruple bonus, as posts with infographics get more leads, more shares, more backlinks, and best of all, they can help you rank for keywords. With video content poised to make up more than 80% of web content in the near future, you’d be remiss if you didn’t include it in your content strategy. Not only is video engaging—it’s versatile, too. 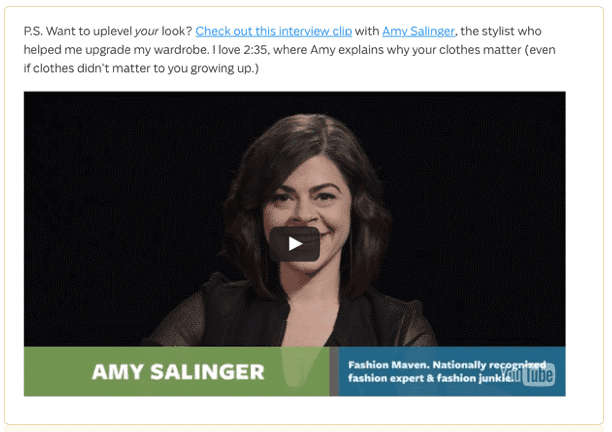 You can use embedded videos in blog posts, email marketing campaigns, and share them on social media in a wink. Having a great video embedded in your blog can help you get visitors to spend more time on your page or site—and that’s something Google keeps an eye on. Importantly, video’s dynamic, engaging nature helps make your brand relatable—which can translate into consumer loyalty and trust. Either way you look at it, video is definitely a must-have tool for taking your content marketing to the next level in the coming year. Of course, an email marketing campaign is also necessary to keep customers engaged. 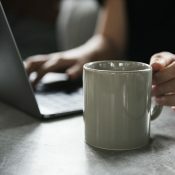 Email marketing can establish your brand as an industry authority, especially if your emails provide valuable content readers can’t access elsewhere. There are numerous ways to enhance your content, and in doing so, support your customers. Even question-and-answer pages, product demos, tutorials, worksheets, templates, and roundups will help position your brand as a go-to resource for current, accurate information. While it’s not technically a content “type” like the others in our list, emotional content is nonetheless essential to any serious content marketing plan. Emotional content can be communicated via any of the above vehicles: blog posts, infographics, videos, or any other value-added materials. Best of all, it gives customers what they really want—a connection. As the infographic above shows, this is the kind of stuff people crave—and it’s the kind of content that can help your brand become more influential and relatable in a crowded market. So, the next time you’re creating a blog post, working on an infographic, or deciding on a script for your next video, see if you can find a way to add an emotional element to your content for maximum impact. Even though industries change, one thing will remain constant in content marketing—consumers are looking for value. In 2019, long-form content is still important, with longer articles outperforming shorter ones. This is because people are looking for detailed information, not just rehashed facts and figures. But you may want to alter how you serve your content. In 2019, savvy marketers need to ensure they’re not simply keyword-stuffing their copy. Sophisticated algorithms like Google’s RankBrain are making sure you offer good context and great user experience (UX), too. 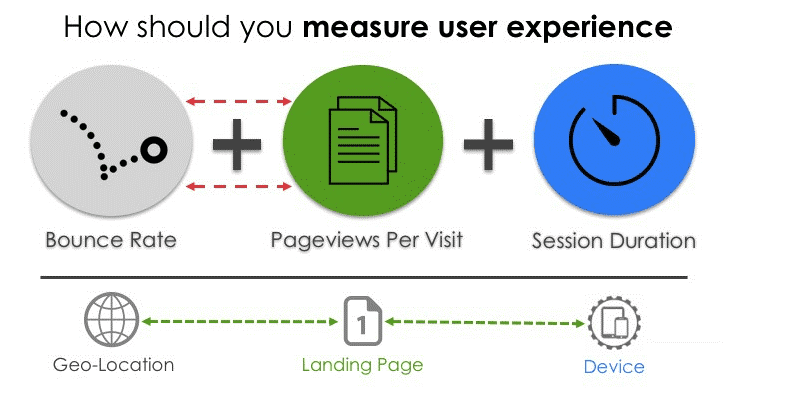 To ascertain whether your content—and your UX—is on target, conduct a running analysis of key performance indicators (KPI). In general, visitors vote with behavior, so bounces, pageviews, and the length of time they spend at your site will let you know if your content marketing and UX are doing their jobs. The increase of voice search and the burgeoning popularity of video are both developments that smart content marketers can leverage. Voice search on both mobile and desktop continue to increase, and climbing alongside it is the number of queries from digital marketers who are looking to optimize their reach in this sector. Getting your featured snippet right helps drive individuals to your site. While Google creates the snippets, the company uses the content featured on your site to determine whether or not you get one. 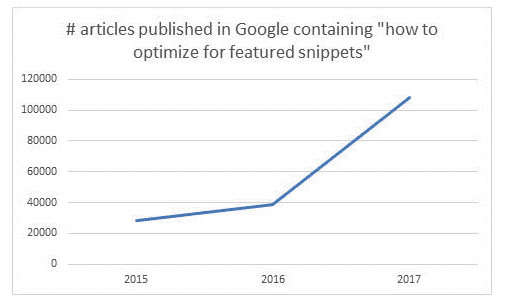 The best way to rank for snippets is to create content that answers a question because this is the way most people use voice search—by asking questions. Video is another escalating trend, particularly among smartphone users, 53% of whom want to see instructional videos on mobile sites. 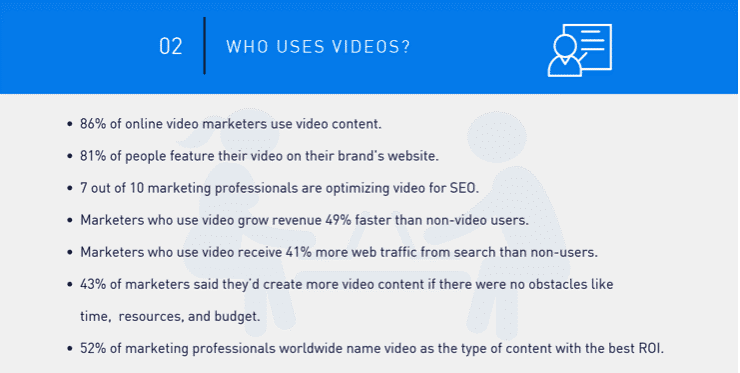 More digital marketers are harnessing the power of video to foster engagements, increase their SEO optimization, and grow revenue. To use video to your advantage in content marketing, try embedding videos in blog posts, sharing valuable video content on social media, and using them to provide tutorial content to both mobile and desktop users. With both voice search and video, consistency is key, so have a plan. Rather than taking a hit-or-miss approach with these elements, incorporate both into your overall content marketing plan, building on the basics that you already have in place. Applying sensible marketing parameters and developing a fully-fledged strategy for their deployment is the best way to use these tactics to their full potential. To take your content marketing to the next level, hone the basics. In other words, produce compelling, long-form content your audience craves. Once you’ve done that, you can begin further developing a complex content strategy. With many types of content marketing to choose from, it’s easy to become overwhelmed and move to the “little bit of everything” strategy. However, by taking the time to develop a dynamic strategy, you can achieve significant results in line with your business expectations. Incorporating new strategies in 2019, such as video marketing and voice search optimization, can keep your brand ahead of the competition. As long as your content remains engaging, high-quality, and valuable, your content marketing will be a success.